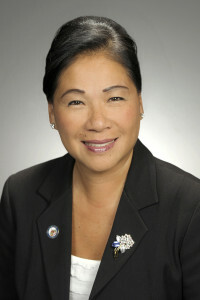 Over the past 11 years as an elected municipal official, Sandra Yeung Racco has worked tirelessly for her constituents. During her 3 terms on Council, Sandra has built an array of new parks, led art and culture initiatives, addressed the needs of youths and seniors, and collaborated with other levels of government to bring the Subway into Vaughan. Born in Hong Kong and raised in Ontario, Sandra developed an acute appreciation for the arts after studying music at the Royal Conservatory of Music and graduated with a Bachelor of Music Education degree from the University of Toronto’s Faculty of Music. Sandra then ventured into the world of international business relations, where she developed an understanding of the needs of global business communities. But it was her volunteer work in the not for profit sector working with numerous boards and committees that she developed a nuanced appreciation of the fabric of the local community. As a result, Sandra has a unique and diverse palate of experience that blends business, the arts, international business relations, the importance of family and, most importantly, a sensitive understanding of the complex needs and priorities of Ward 4 residents and businesses. As a result, she is committed to delivering results for Ward 4 and to continuing to build a vibrant and livable community for her constituents. Director, Hydro Vaughan Holding Inc.